Rodrigo Mancilla was born in Coyhaique city, in southern Chile in 1989. In 2007, Rodrigo started his bachelor degree in Physical Education at the Universidad de la Frontera, Temuco. In 2011, he began his first master in physical activity and health at Universidad de la Frontera, under the supervision of Dr. Erik Diaz. Studying at the center for investigation of human metabolism and health, Rodrigo published his thesis about the effects of regular exercise training on glycaemic control in pre-diabetic subjects. In 2014, Rodrigo received a national award from the Chilean commission of investigation, sciences and technology (CONICYT) to pursue a second master degree at Maastricht University, specifically the human movement sciences master program. 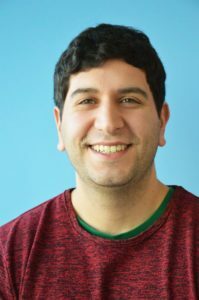 During his internship, Rodrigo worked under the supervision of Prof. Matthijs Hesselink and Dr. Vera Schrauwen-Hinderling, studying the in-vivo diurnal metabolic variations of human liver tissue. In December 2016, Rodrigo started his PhD at the department of human movement science-human biology under the supervision of Prof. Matthijs Hesselink and Dr. Vera Schrauwen-Hinderling. During his PhD, Rodrigo will focus on the effects of regular exercise training on muscle remodelling in relation to insulin sensitivity and mitochondrial function in insulin resistant subjects, taking into account a cellular, multiple tissue and whole body approach.